Recently we introduced a large-scale upgraded version of the clan portal, which includes many new features such as extended statistics for both clans and members. Clan Ratings were also moved to the portal, and with it, we’ve added many new features. In general Clan Management, you can see the statistics of a clan's players: the percentage of victories, the number of battles etc. 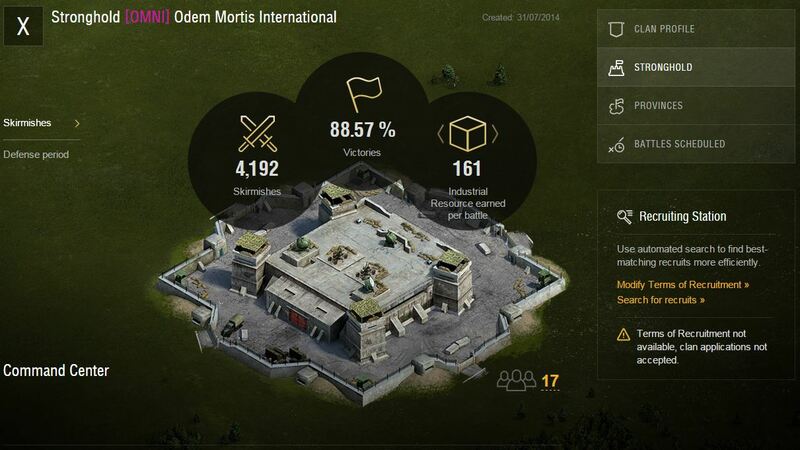 Detailed statistics were made available, including all types of battles (Global Map, Company, and so on). The search engine was updated: it’s now more accurate. The Strongholds Information tab was extended: You can now learn more about the players and their contribution to the clan. 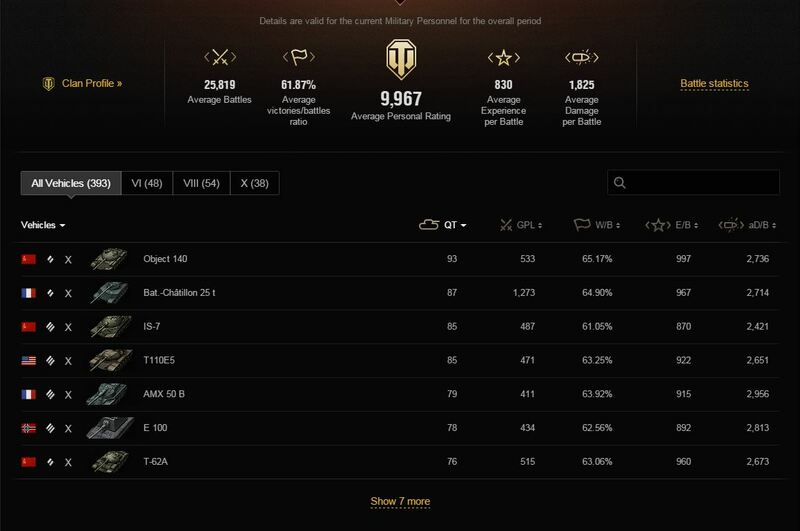 From now on, you can view all of the key statistics of a Clan in just one place: average player statistics by battle type, vehicles etc. – all compiled for you to view. Clan Rating has changed as well: now it takes into account the results of the battles for Strongholds, the outcome of clan battles and the number of players in the clan. 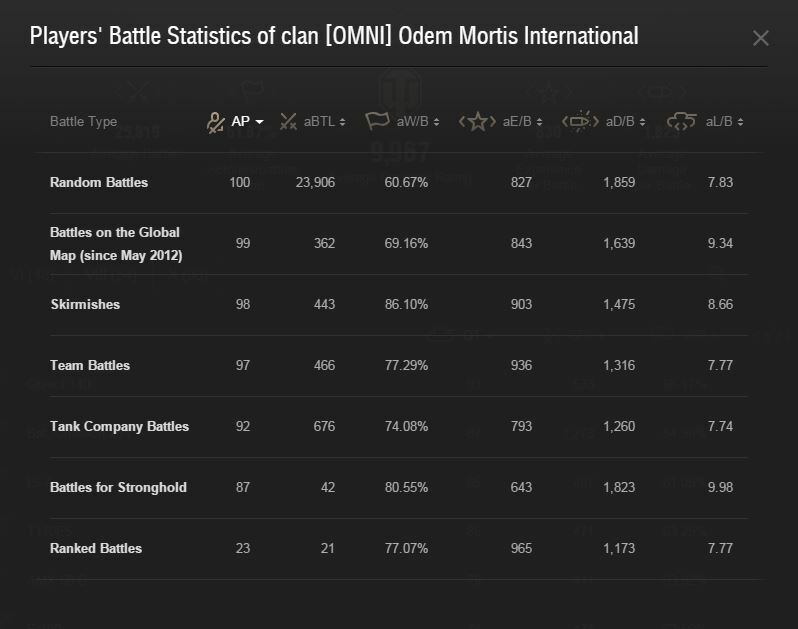 When choosing a clan from the general list, you can get detailed information about their success in battle. aB / D - the average number of players in clan battles per day. Fsh - based on Stronghold. It uses results from Skirmishes and battle for Strongholds. Esh – Elo-rating for Stronghold battles. This shows how well the clan is doing in this mode. CR - clan rankings. For more details, please refer to the appropriate section. Apr - the average personal rating of clan members, weighted by the maximum possible number of players (100). 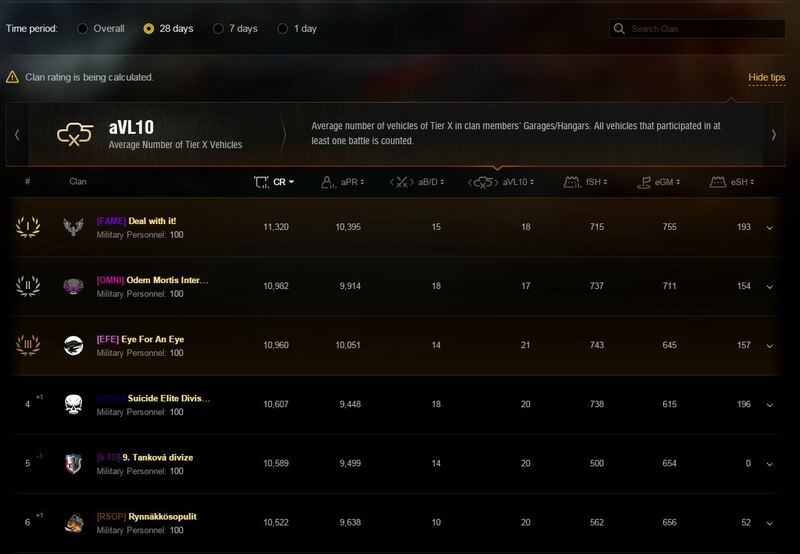 aVL10 - the average number of Tier X vehicles owned per member of the clan. eGM - Elo-rating on the Global Map. This shows how well the clan is doing in this mode. Important: The average winning percentage, the average experience per battle and the average damage per battle is a weighted average, which will be calculated from the sum of battles from all the players within the clan. The current update makes it possible for you to view performance indicators on all types of vehicles, provided that they have been played at least once each. For your convenience, additional filters have been created for Tier VI, VIII and X.
QT - the number of vehicles in the clan. W / B - winning percentage. E / B - experience per battle. D / B – damage per battle. The percentage of victories, experience, and the damage will be calculated from the sum of battles from all the players within the clan. The impact of vehicle tier and win ratio in small spans of battles will be minimal. In addition, with the help of the search engine, you can find specific tanks and view the statistics of the games played with them. Among other things, you now can see how many clan members are involved in in other game modes (AP). It will only show when least one battle played in the given mode. Finding clans by their clan tag, title or part of the name has become more convenient and the search function is now more accurate. The search results list will show clans that most closely match a player’s search terms. The top results will be clans with the highest relevance in terms of names and clan tags. If the search function is unable to find a specific term, then the clans are displayed in the order of their popularity. The primary parameter here is the clan rating. With the current upgrade, the Strongholds page will also display more data. 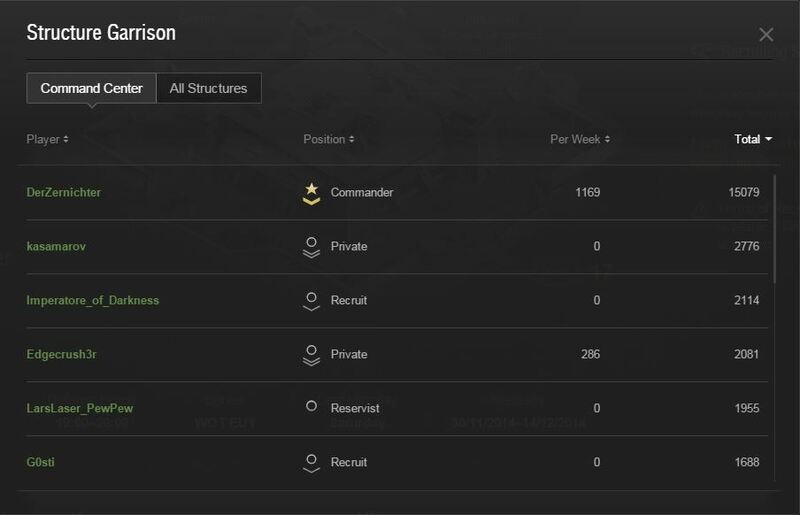 Now any player who looks at the profile on the clan portal can familiarize themselves with how many members are involved. In this tab, you can see the number of involved clan members and the amount of Industrial Resources obtained by them in the last 7 days, as well as overall. In addition, you can see the performance of players for all the buildings of the Stronghold. Now, any player who is actively involved in the battle for strongholds of ​​their clan and brings a significant amount of Industrial Resources will always be visible.